Obituary for William D. Heim | Spitler Funeral Home, Inc.
William D. Heim, 65, of Cogan Station, passed away suddenly Oct. 13, 2018 at his home. He was born Sept. 30, 1953, in Williamsport, a son of William F. and Shirley J. (Ripka) Heim. William retired from Primus Technologies after 39 years of service. 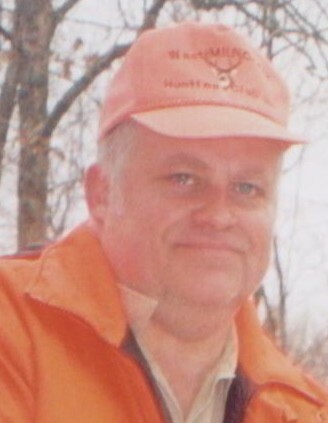 He was a charter member of West Mill Creek Hunting Club, Inc. He enjoyed working on small engines and tractors, attending antique machinery shows, hunting, and being with his family. Preceding him in death were his father and twin baby sisters. Surviving are his mother; two brothers, Frederick S. Heim and Joseph E. (Christine) Heim; three sisters, Debra L. Heim, Peggy J. Little, and Sandy F. Heim; three nephews, Frederick M. Heim, Dominick J. Rhodes, and Joseph F. Heim; and three nieces, Emily M. Heim, Karissa L. Rhodes, and Veronica F. Heim. A funeral service will be held 2 p.m., Friday, October 19 at Spitler Funeral Home, 733 Broad St., Montoursville. Burial will follow in Montoursville Cemetery. Family and friends will be received from 1 to 2 p.m., Friday at the funeral home. In lieu of flowers, contributions may be made to your favorite charity.